We love painting. We love wine. So, when we discovered there was a way to combine the two – and on a school night, no less – we were instantly hooked. 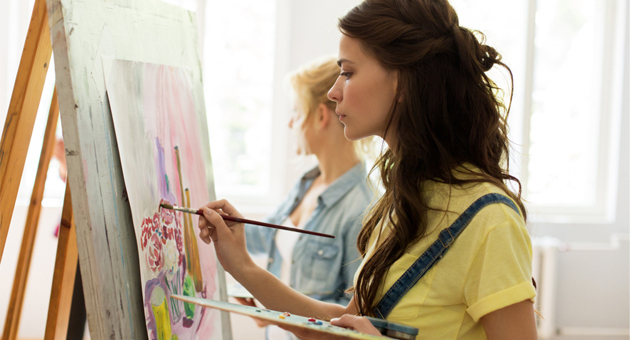 Introducing your new favourite hobby: paint and sip classes. You’ve probably heard of them before. You gather your girls, book your spot and show up (wine in hand) for a few hours of painting and… well, sipping. We probably didn’t need to explain that. 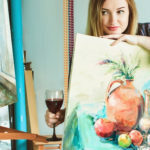 Paint and sip classes first became a thing a couple of years ago. In the early days, your city probably had one, maybe two paint and sip studios and, due to the basic principles of supply and demand, you’d end up having to book your class months and months in advance (and still get stuck with the ugly picture that no one else wanted to book in to paint). Not anymore. 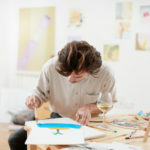 Nowadays, paint and sip studios are cropping up all over the place – they are officially having their moment. While the hype has died down a little (again, supply and demand) paint and sip classes have cemented themselves as a favourite venue for girls’ catch-ups, mother/daughter dates and even corporate events. And why wouldn’t they be? For two hours (at least), you get to sit back and focus on two simple things: paint, and wine. 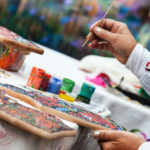 You don’t even need to flex your creative muscles, as the leader of the class will tell you what to paint and when. And, when the class is over, you get to take home your very own masterpiece to hang proudly (or leave, forgotten, in the garage somewhere) in your home.